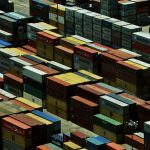 In 2016, we saw containers hit the mainstream with many companies dipping their toes in the promising sea of containers. In 2017, we saw even more examples of organizations achieving real results with pilot projects. We have various industry-leading organizations taking strides to solve problems and improve efficiency using containers. We will look at three leading companies and how containers help them stay on top. ADP is a behemoth when it comes to cloud-based human capital management solutions with over 630,000 clients, 35 million users, and 5 million logins a day across the globe. They provide a range of services from hire to retire. In the last year alone they have moved about $1.8 trillion through their systems and manage over 80 million Social Security records. It is no wonder that the U.S. government considers ADP as critical infrastructure. Like most industry leaders, one of the challenges ADP faced is how to get more code to production faster. One of the downfalls of attempting faster development lifecycles is that it becomes harder to track issues. The benefit of working with containers is that it allows developers to have much quicker feedback and traceability, which allows for bugs to be found faster. This helps fix code that is fresher in the minds of developers rather than it being discovered weeks or months later, resulting in a resource-intensive witch hunt of what change caused it and when. It also helps with developers focusing on the issue rather than wearing different hats of a coder, sysadmin, and troubleshooting and switching between them to get to the core of the issue. One of the good things about containers that ADP took advantage of is the relative compatibility and good standards they enable. If Docker Swarm was not their cup of tea, they can always switch lanes and run the same containers on Mesosphere, Kubernetes, or Triton — Kubernetes being the crowd favorite today. It also does not lock them into using a specific platform; they get to use what works for their needs. Another challenge that ADP faces is that the world is more and more mobile-centric and they have numerous applications across various clients then need a short development to implementation timeframe to be relevant and to stay ahead of the competition. As previously discussed, the container workflow allows for quicker feedback but it also allows for agile microservices. These are mostly run on the backs of APIs and allow for a service to stay more relevant for longer as a repackaging of the frontend and addition of more APIs to achieve new features and functionality is much faster than releasing a new version of an application. As of April 2017, ADP had 469 Docker Engines and 3771 containers running on VM’s, mainframes, bare metal, and AWS. They have also built more than 9,000 unique images. Being a global leader in online payment solutions, PayPal has over 210 million active users, 200 international markets, more than $100 billion in payment transactions per quarter, and operates with 24 currencies around the world. This huge success, however, comes with its own challenges. Let us look at how PayPal performed a successful and much-needed datacenter modernization with Docker, and how they integrated Docker into their software development lifecycle. This overhaul was necessary for PayPal to achieve new operational efficiencies and increase application availability. Application availability is particularly crucial for PayPal as some of their customers use PayPal as their exclusive payment processing solution. PayPal launched their first container in QA and production in April 2016 and limited it to only a core dedicated team to drive this transition to Docker containers with the aim to avoid disruption to their current ecosystem. Over the course of a few months, they started to experience advantages of the container approach, one of which was that since the applications were now being decoupled from the OS, their infrastructure could be modernized without updating the application. Also, since a modern OS and kernel could be easily utilized with no impact to the application, PayPal noticed that some of its applications received a 10 percent to 20 percent efficiency increase, with no change in code — a welcome consequence! Productivity tools for developers to leverage containers started rolling out in early 2017. A strategy that PayPal used was that they empowered their developers’ laptops with tools and a full suite allowing for them to build, deploy, and debug locally and to encourage mass adoption. This also elicited a 50 percent increase in their developers build to deploy lifecycles when developing and testing locally. One of the rewards they realized was that proprietary deployment systems could be scrapped as Docker allows for disassociating deployment from framework stacks, thus simplifying development. In late 2017, the first applications were launched on a Container as a Service (CaaS) platform, and this brought along a notable 50 percent drop in vCPU usage in QA and 25 percent vCPU usage drop in Production. The scalability of their applications was improved by eliminating the overhead of VM spinups. It’s now a universally acknowledged fact that containers are faster and lighterweight than VMs, and this brings with it a lot of advantages. The major shift from using CaaS was that one platform could be used across all environments with consistent monitoring and alerting, avoiding the need for building new infrastructure every time a new experience is needed. PayPal now has over 700 applications that have been migrated to Docker and currently has in production 45,000 container VM hosts and over 150,000 containers. PayPal ensures that any new application that is created is containerized — no exceptions. MetLife is one of the largest global providers of insurance with a 145-year history and over 100 million customers across 50 countries. This heavyweight has over 400 systems of records with applications that are over 30 years old. They are using containers to transform and enhance their information management and product offerings to their customers. MetLife, being such an old company, has a lot of legacy systems. So much so that they still have code that was written in 1982 still in production. One of the first steps they took was to wrap their legacy applications into microservices, i.e. modernize legacy systems with a layer of microservices. The approach was to divide various pieces of business logic into modular parts that can be differentially scaled and easily managed. They utilized Docker Enterprise Edition to solve the various microservices hosting complexities. Most of these systems use archaic systems of storage and were hard to access. MetLife had to replace them with various modern technologies like APIs, Big Data tools, and NoSQL to provide access to this data across multiple applications. This allowed developers to have their apps access the data in a modern and secure manner without worrying if it is hosted on an archaic mainframe or an obsolete version of a particular database technology. Once the microservices and data are connected, entire parts of these legacy applications can be turned off. These microservices now hosted in agile containers allows for modern UIs to be used and provides customers with modern online applications in line with more current offerings. Using this approach MetLife has achieved an almost 70 percent consolidation on its VM infrastructure and also allowed for scalability of these applications using Docker via the Azure cloud. What’s most surprising is that this traditional Fortune 40 company has impressively implemented this Docker environment with customer-facing applications in a mere five months! We have no doubt that there will be a lot more to come in terms of features, security, and the variety of container solutions this year. Containers are definitely here to stay and we are glad to see their adoption in 2017 by large companies all the way to emerging startups.